Nexus Properties has experience both in developing properties for educational institutions as well as in converting former academic properties into commercial space. 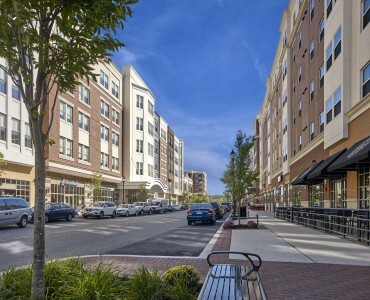 Our most recent academic property is the Glassboro Main Street / Rowan Boulevard development, created with Rowan University as a mixed use facility under a Public Private Partnership. Public Private Partnerships – We’ve structured PPPs to connect public entities with well-funded investors who can assume the majority of the financial, development and operational responsibilities, as well as the risks for projects designed to benefit academic institutions. Property Development – our long-term relationships with leading architects and engineers as well as key subcontractors, make Nexus a go-to development partner. Financing – our creative financing knowledge enables Nexus to reduce costs for clients and tenants alike. Construction – a complete range of capabilities that few commercial real estate firms can offer—from site selection and insurance analysis to architectural design, subcontractor coordination and budget development, as well as on-site management during and after project completion. Property Management – vast experience, 24/7 tenant services, and attention to detail set our services apart. Learn how we can help you with real estate development for your academic institution. Contact Nexus.